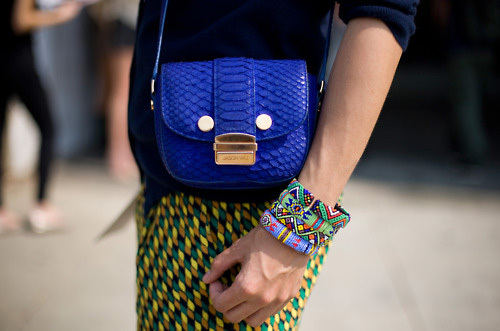 When it comes to accessories, they have been just as influential, with certain styles being increasingly popular as the year goes on and summer approaches. 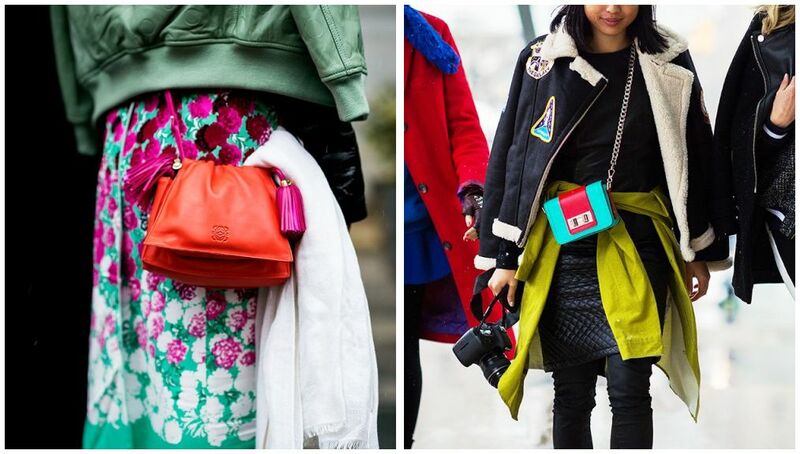 Here are just a few of the bag trends that have been making waves during 2013 so far. لمن نجي عند الاكسسوارات، نشوف قد ايش تتغير تصاميمها و ستايلاتها بكل season، ححكي بس عن احد الموضات الدارجة بالشنط هذا ال season. 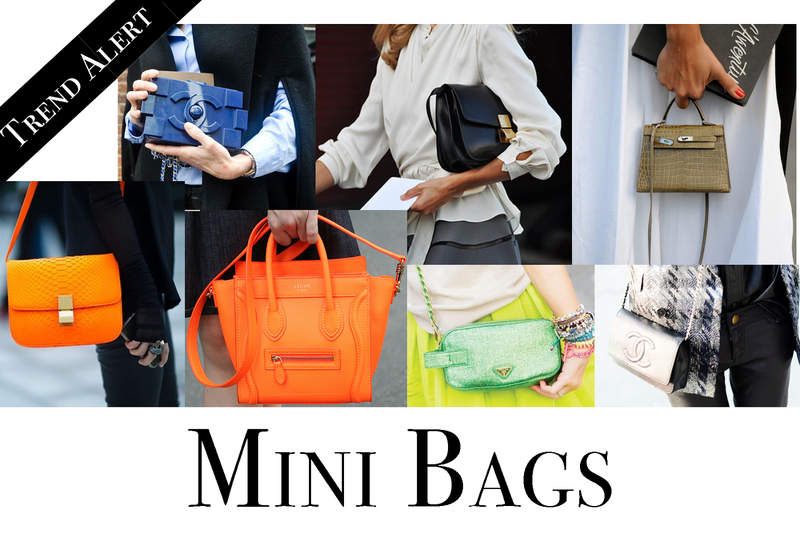 Mini bags are a big trend for Spring/Summer 2013, bringing versatility and functionality. 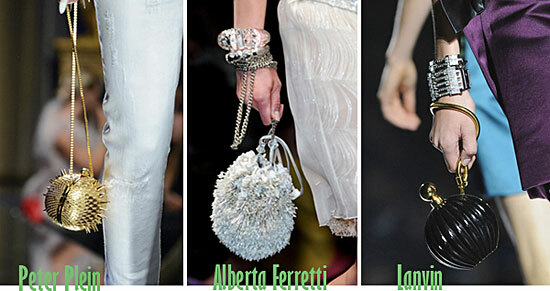 Offered in various shapes and styles mini bags can be worn on wrist, behind the back or carried by handles. They come in a variety of materials, colors, and sizes as well. They are perfect for summer and looks great when paired with anything from cropped jeans and a tee, to long flowing dresses. الشنط الميني عليها إتجاه كبير لربيع / صيف 2013، و لها اشكال واستعمالات كثيرة. و طلعت بأشكال وأساليب مختلفة. 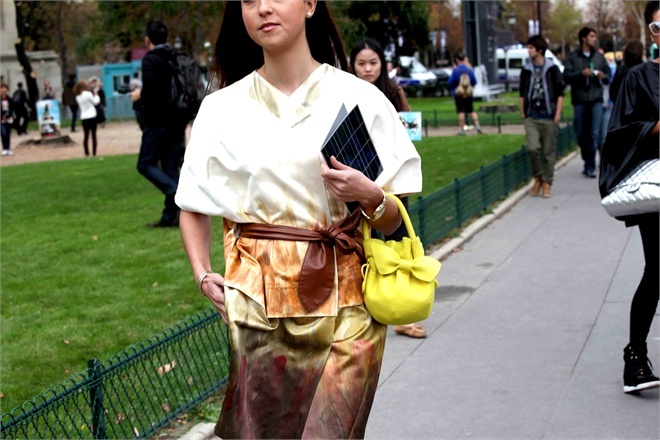 يعني تقدري تمسكيها بيدك، او حتى ورا الظهر و احيانا cross body. كمان لها اشكال، ألوان، أحجام، و ماتيريالز مختلفة. مرا مثالية للصيف، و تقدري تلبسيها مع أي شيء من جينز و تي شيرت، إلى فساتين او تنانير. Mini bags can be used as accessories to add that pop of color to an outfit and make a statement. They are just the right touch you need to add that summer feel to your look. الشنط الميني تقدري تستخدميها عشان تضيفين لون أو بوب اوف كولور pop of color لأي لبس. تعطي وتضيف لمسة صيفية لاي لوك. 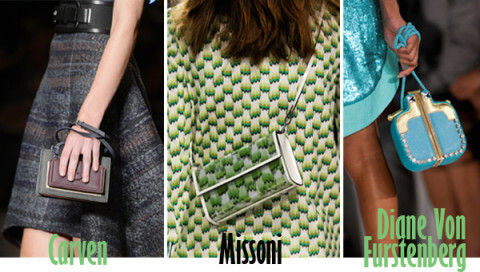 Diane Von Furstenberg showed whimsical bags at her show, while at Louis Vuitton they were of classic shapes and playful checkered patterns. Prada and Rochas offer smaller totes while Mulberry featured leather scalloped tote with chain handles. كثير مصممين نزلوها من ديان فون فورسنبرغ باشكالها الجذابة، ل لويس فويتون بأشكالو الكلاسيكية. و كمان برادا و روشاس طلعو احجام اصغر كمان، و مولبيري طلعو شنط جلدية مع سلاسل.